New York City’s nine predominantly Chinese neighborhoods are home to the largest ethnic Chinese population outside of Asia. Interior Lives features the work of three photographers who have spent years documenting the lives of Chinese New Yorkers: Annie Ling, and An Rong Xu, and MFA Photo/Video alum Thomas Holton. Thomas Holton has followed the trajectory of a single family, the Lams of Ludlow Street, since 2003. Starting as a family of five in a 350-square-foot apartment, the family has changed over the past 15 years, with the growth of the children and the eventual separation of the parents. 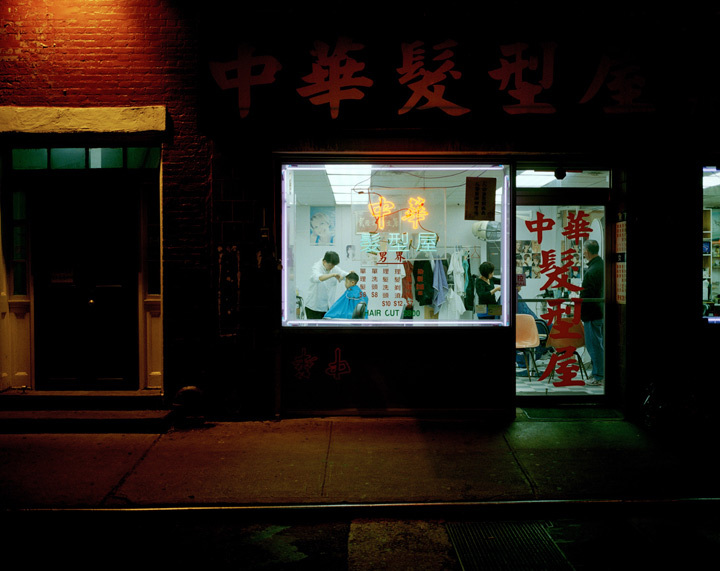 In an attempt to better understand his own Chinese heritage, Thomas Holton began photographing the streets and the daily rituals of the Chinatown neighborhood. However, what began as a more traditional documentary project in the "street photography" genre developed into a much more intimate exploration of a single family's life spanning a decade. It shows the Asian American immigrant experience as well as it is the exploration of a family's turbulent history, which everyone can relate to regardless of race or religion. Other photographers featured in this exhibition include: Annie Ling, who documented the lives of the 35 residents of the fourth floor of 81 Bowery—the “invisible immigrants” who live cramped quarters and work for low wages, and An Rong Xu who navigates his Chinese-American identity with a series of photographs that explore the intersection of “two sometimes polarizing cultures.” Together, the works of these three photographers provide a window into the complex realities of immigrant life in New York City. This exhibition is organized by the Museum of the City of New York in conjunction with the Museum of Chinese in America (MOCA), and will be on view from October 26, 2018 - March 24, 2019. The Museum of the City of New York is located at 1220 Fifth Ave at 103rd St. and is open daily from 10am–6pm.